Even though our site is tagged as "Where BRIDES go for what brides love," we are actually an excellent online destination for anyone looking for great quality products that both men and women would be thrilled to receive. 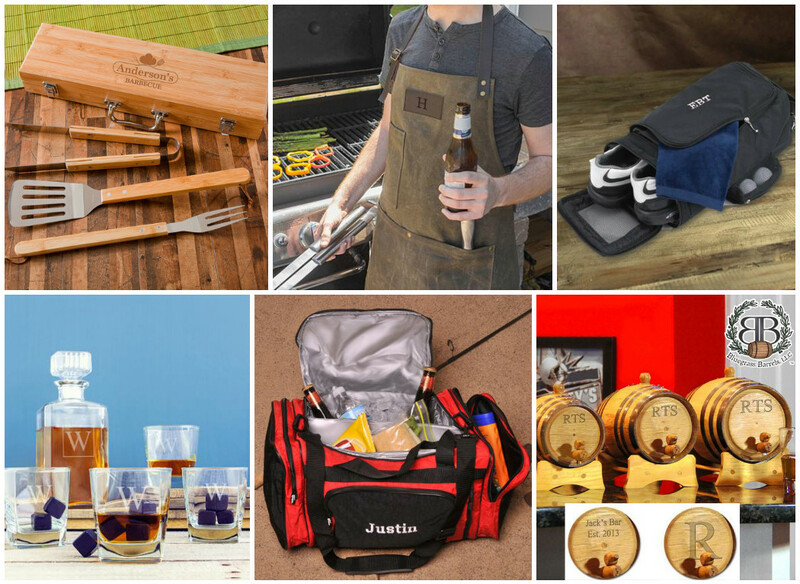 For the fellas, you'll find lots of items for the grillmaster, sports fan, beer lover, and more in your life. 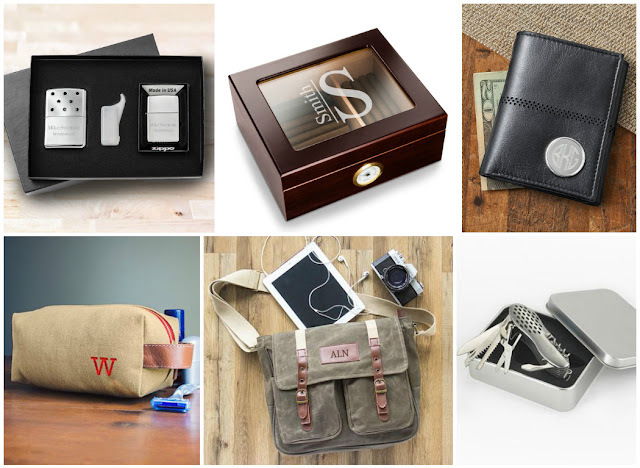 We carry exquisitely personalized wallets, sporting accessories, tailgating tools, and so much more. Men enjoy receiving thoughtful gifts that reflect aspects of their personality, and anything that is durable and serves a practical function in their life is always a good idea too. Find something they can really use that looks gorgeous at the same time. 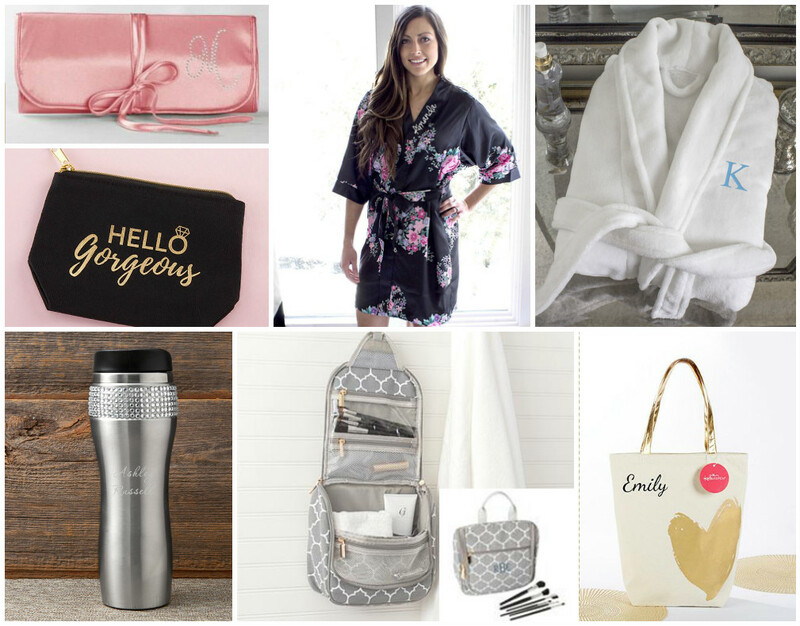 For the lovely ladies on your list, we've got all kinds of wonderful things to surprise her with. Some are useful, some are pretty, and all of them are fun to both give and receive! You'll find beautiful jewelry to personalize plus the holders to keep all of her beautiful accessories in. There are novelty items to put a smile on her face, like our adorable High Heel Bottle Holders, or the Pocket Shoes that can be tucked away in a purse and pulled out when her feet get tired. If the women on your list appreciate a bit of pampering, you'll find fashionably comfortable robes to fit every personality. 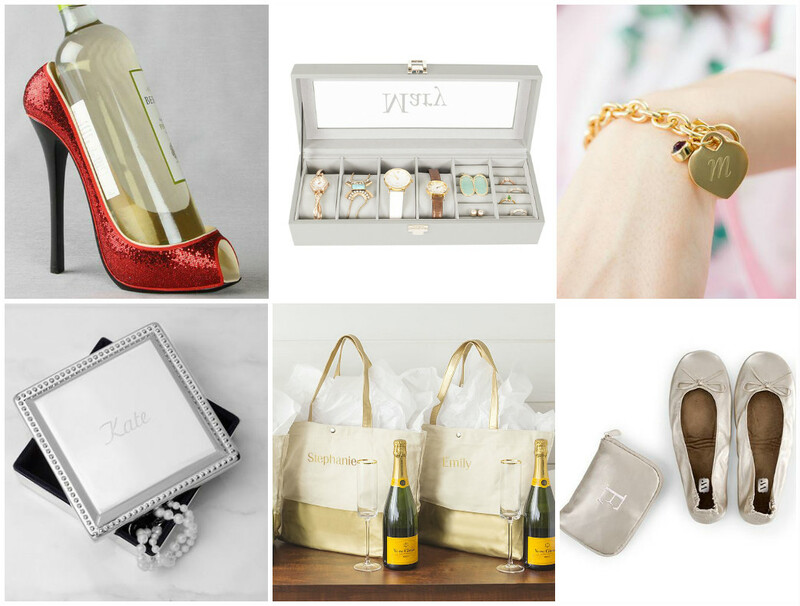 We've got plenty of sparkle and bling for the girly-girls on your list too. If you're in need of a gift for a couple or family, or even if you are looking for a non-specific present for a holiday gift exchange, you'll find all kinds of perfect items at WhereBridesGo.com. Everyone can use something for their kitchen (we all have to eat!) The beautiful kitchen accessories that we have to offer are both practical and attractive. 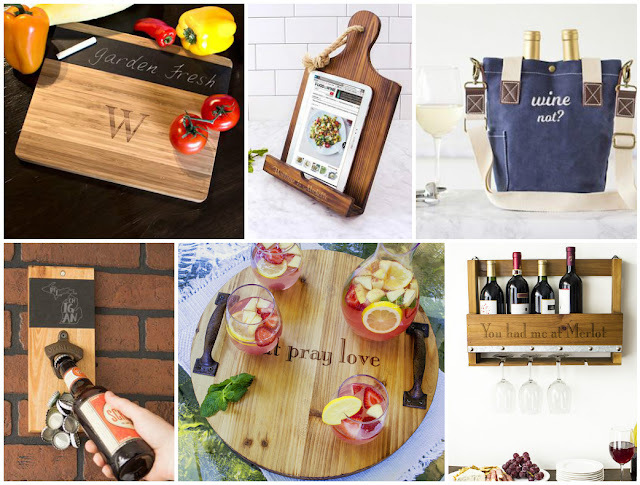 For any wine, beer, or whiskey connoisseurs, we've got all kinds of excellent things they are sure to love! 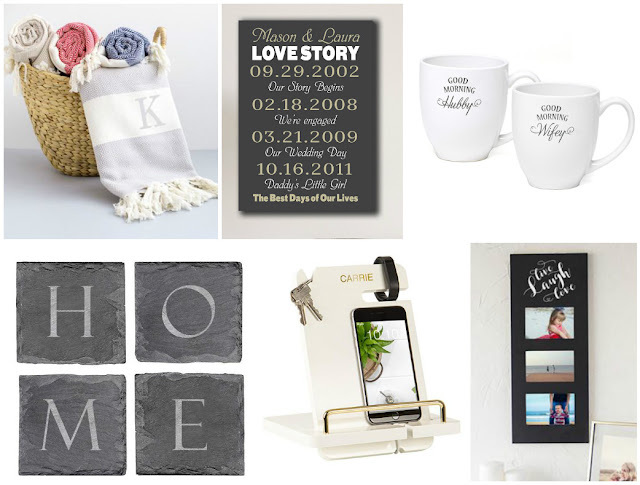 You'll also find great gift ideas for making the recipient's home comfy, cozy, and extra-special. The Best Days of Our Lives Canvas Print can be personalized to feature the milestones of anyone's unique story. Picture frames, blankets and throws, glassware, and much much more are waiting for you to browse through. What's going on your list? The gift ideas we have shown you here are just the beginning! Grab a pen and paper, and then head on over to our online gift store to start making your list of must-have presents this year. Most items can be personalized for FREE, and if you spend over $125, standard shipping delivered inside the Continental USA is FREE too! 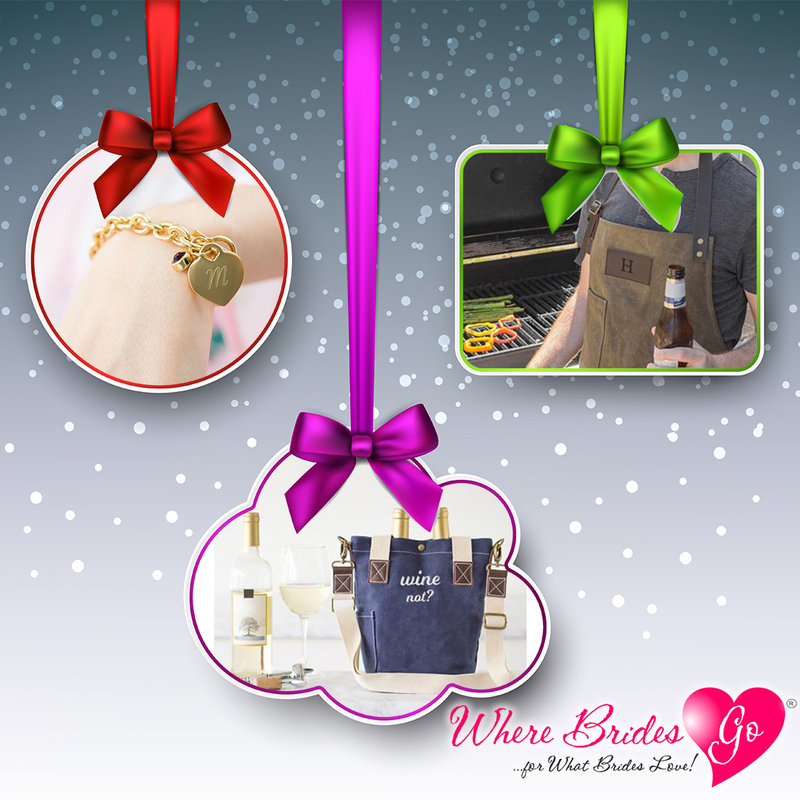 If making the decision about which of the incredible gifts to purchase at WhereBridesGo.com is just too hard, get gift cards instead. They have no expiration date and usage instruction will be emailed directly to the recipient. Are you ready now? HAPPY SHOPPING!